The U.S. economic recovery is sorely missing a healthy rate of inflation. The Federal Reserve is expected to raise its key interest rate in 4 weeks for the first time in almost a decade. The move would signal that the U.S. central bank sees the economy getting close to full health. However, the inflation level continues to be a big worry because it isn't where the Fed would like to see it before hiking interest rates. Consumer prices only rose 0.1% in July compared to June, according to the Labor Department. Over the year, prices only rose 0.2% -- well below the Fed's 2% target. Excluding the volatile components food and energy prices -- core inflation -- all other prices rose 1.8% annually, the same number from June. While the job market has been solid and steady this year, inflation is mostly absent. It's causing concern. One prominent Fed official is against raising rates in September because inflation is so low. The president of the Federal Reserve Bank of Minneapolis, Narayana Kocherlakota, says a rate hike could cause a domino effect of bad outcomes: home prices would fall, job growth would slow and U.S. trade would get hurt. "Tightening monetary policy when inflation is projected to be so low is a step in the wrong direction," Kocherlakota wrote in an op-ed in the Wall Street Journal. Translation: don't raise rates now. The lackluster inflation numbers are one reason why wages haven't grown recently. Average hourly earnings only went up 2.1% in July, again nowhere close to the Fed's 3.5% wage goal. Even other wage measures the Fed cares about -- the employment cost index -- have had mediocre results lately. Fed officials have indicated that they don't need to see wage growth or inflation hit their targets before a rate hike. They would just like to see them move in the right direction, which they are barely doing. At this point, most economists believe the Fed is likely to raise its key interest rate after its meeting ends on September 17. 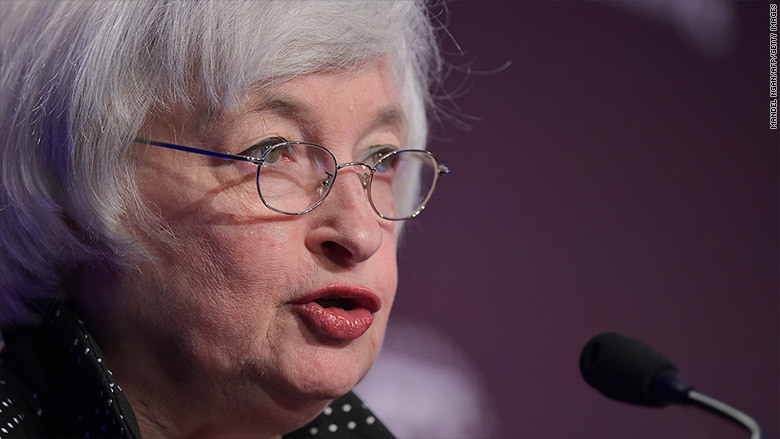 The rate hike isn't expected to be big, and Fed Chair Janet Yellen has emphasized that the pace, not the starting point, of future rate hikes is most important. We'll know more about the Fed's thinking Wednesday afternoon when the Fed minutes publish at 2 p.m.